This is my Pergo Casual Living narrow board laminate review. I consider it narrow board compared to the typical 7 1/2 inch wide laminate. This Casual Living laminate is a little under 5 inches wide. There is laminate that is around 3 inches wide also. I installed about 550 square feet of this for one of my clients. He purchased it at Lowes. This laminate is sold only at Lowes. I didn't ask him what it cost, but looking on the Lowes web site it appears to cost about 2.29 per square foot. Their web site only shows how much each box cost. You have to divide the cost of the box by the amount in each box to get the square foot cost. Some of the specs on their site didn't appear to be accurate, such as the width and thickness. Their site says that the planks measure 4 inches in width. They are just under 5 inches. They also say the thickness is 4 mm when it is actually 8 mm. The length of each plank measures 48 inches. This Pergo Casual Living comes with an attached underlayment. All four edges are beveled and it carries a 30 year warranty. The locking system is called SecureLock. I like the locking system mainly because it is easy to install, especially for the do it yourselfers. The ends do not have to be tapped together. You can install a room with no tools, other then cutting the planks to length in theory (I did have to use a tapping block to get the long side together at times). But overall It was pretty easy. 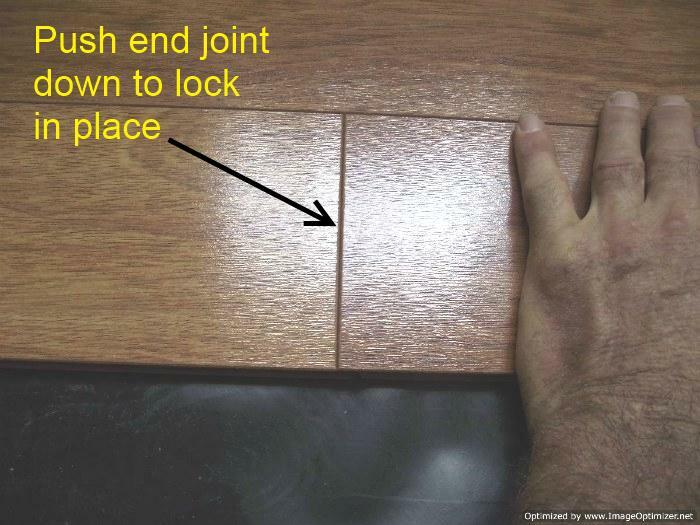 The other good thing about this Casual Living laminate is you can tap the edges together while laying flat side by side, when your installing under door jambs. 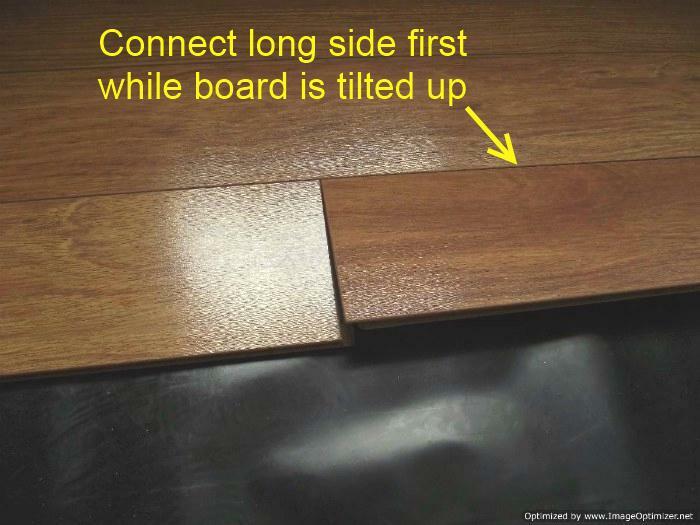 Basically is all you do is connect the long side of the plank and drop down the ends that overlap. 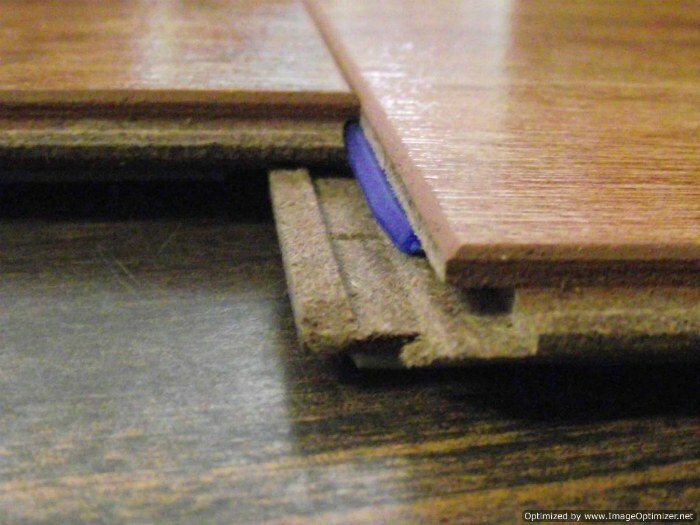 There is a small blue plastic strip in one end that locks the planks together. Once the ends are locked together if you have to undo the joint for some reason you can't lift it up or the tongue will break. To undo the end joint you have to slide it out sideways. Here are a couple of photos that show the little plastic blue strip and how the end joints connect. The plastic strip is not on the long side of the boards. 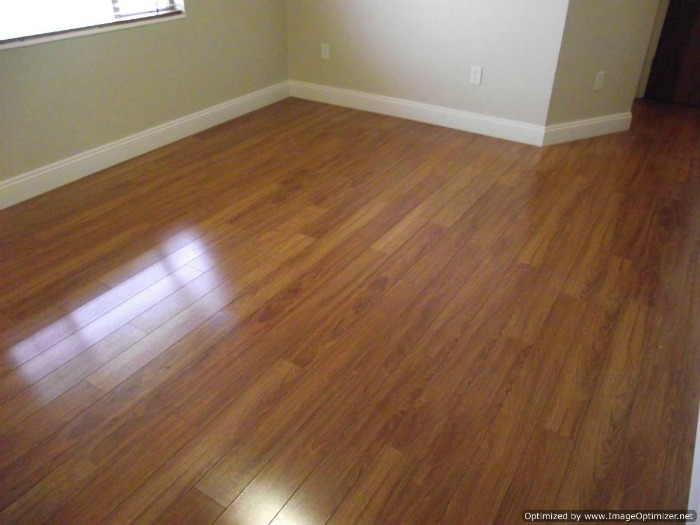 I do recommend this laminate flooring to my readers. Although the cost is a little high for the thickness. 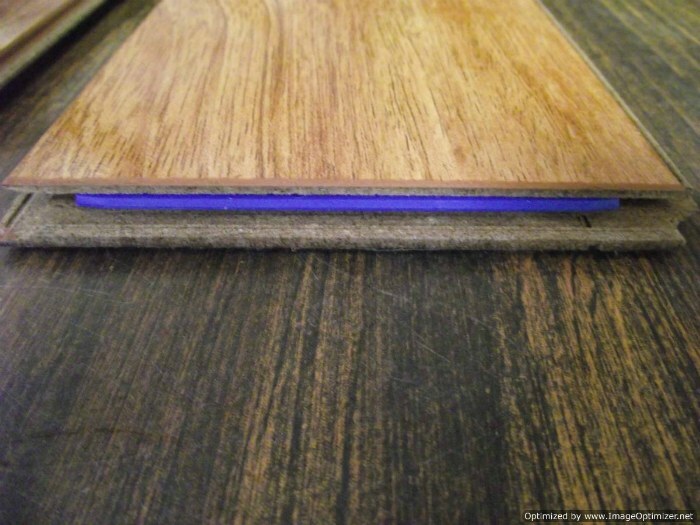 You can get a thicker laminate online for about the same cost even with shipping. Some folks prefer to buy locally and Lowes is not always too far away.